Helical gears are considered a specialty family of engineered component. This type of product includes precision teeth that are produced with a very tight angle tolerance. What’s special about the gear teeth? The unique teeth slowly engage the operation; resulting in an extremely smooth and silent operational noise. The teeth are longer and stronger than other types of parts; resulting in a greater carry weight load. This value explains why this type of specialty OEM part is being selected for many electrical and hybrid energy applications, rather than other traditional styles of gearing families. Helicals are normally utilized for mating two parallel shafts or in crossed mesh applications to connect a pair of perpendicular shafts. 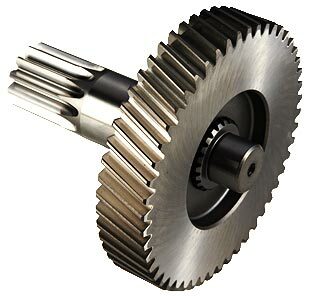 AmTech is a premium supplier of helical gear types to leading North American manufacturers from several industry category areas that include: Automotive, Agricultural, Electronic, Industrial, Medical, Off-highway and others. Our OEM components are manufactured with strict quality standard enforcement and followed by each customer project specifications and detail requirements. Our precision machining capabilities satisfy a variety of strict customer dimensions and drawing specs. The manufacturing capabilities can hold overall external diameters of two feet or internal diameters of fifteen inches, including right and left facing helix angles in all sizes. 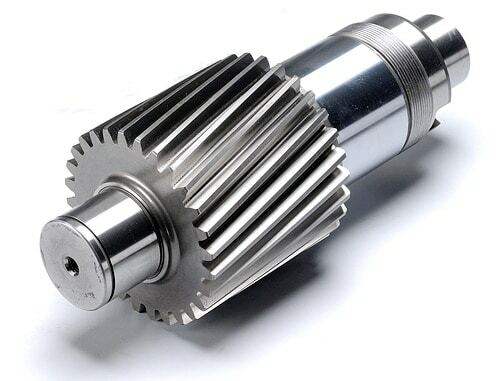 These engineered helical gears can be produced with ferrous or non-ferrous materials with numerous secondary service options from heat treatment, tooth shaving and precision grinding. Reference the charts below for more detailed specifications.